Israel began freeing 26 long-serving Palestinian prisoners on Wednesday as part of an agreed deal to set free 104 before the resumption of peace talks with the Palestinian Authority. All the prisoners have served more than 19 years, according to the Israeli government. They were imprisoned before the 1993 peace talks began between the Palestinians and the Israelis. The government added in a statement that 21 of the prisoners will be freed to the West Bank and five will be sent to the Gaza Strip. The family of Mohammad Nasr, who has been in imprisoned for 29 years, is preparing to celebrate reunion after his release. “I am ready for a new life; I am thinking how I can live with one who has been away for 29 years,” said Nasr’s wife. “When they arrested him he was a young man, now he will come out of jail and he is 60 years,” she said. 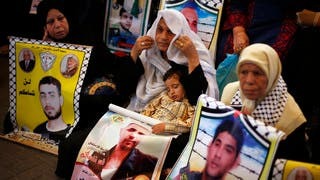 The Israeli government will first publish the names of the prisoners 48 hours before the actual release to give the Israeli families the right to appeal, the Associated Press reported. March 1974: 65 Palestinians are exchanged for two Israelis detained in Egypt for spying. March 14, 1979: Israel releases 76 Palestinian militants in return for an Israeli soldier taken prisoner in April 1978 in Lebanon. Nov. 23, 1983: More than 4,600 Palestinians are freed by Israel to secure the release of six soldiers captured a year earlier by the Palestine Liberation Organisation (PLO) in Lebanon. May 20, 1985: Israel frees 1,150 Palestinian detainees in return for three soldiers captured in 1982 by the Popular Front for the Liberation of Palestine. Oct. 1, 1997: Israel frees Hamas spiritual head Ahmed Yassin after eight years in captivity, as well as dozens of Palestinian and Jordanian political prisoners, in exchange for two of its Mossad secret agents. Aug. 6, 2003: Israel frees 341 Palestinian detainees. Jan. 29, 2004: In a German-mediated deal, Israel frees 400 Palestinians and 31 other people, including 23 Lebanese. Hezbollah hands over an Israeli reservist it has held for three years and the remains of three other soldiers. Dec. 27, 2004: Israel frees 159 Palestinians. Feb. 21, 2005: Israel frees 500 Palestinians. 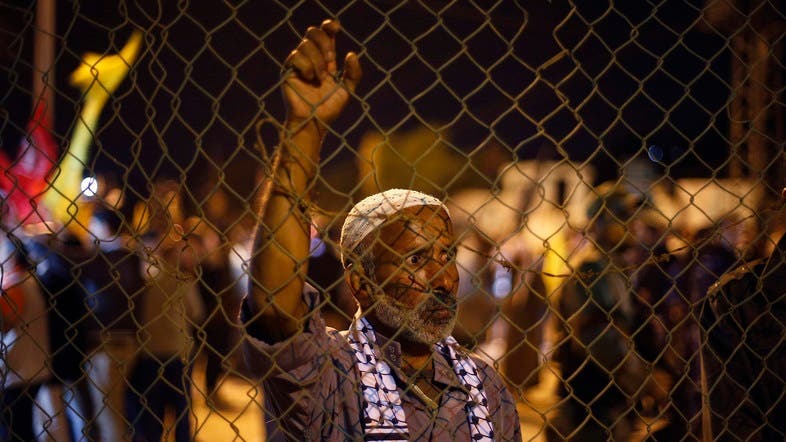 June 2, 2005: Israel frees 400 Palestinians. July 20, 2007: More than 250 Palestinians released. Dec. 3, 2007: Israel frees 429 Palestinians. Aug. 25, 2008: Israel frees 198 Palestinians, including two “with blood on their hands,” convicted of deadly attacks. It is the first time such detainees are freed other than as part of an exchange. Dec. 15, 2008: Israel frees 227 Palestinians. Oct. 2, 2009: Twenty Palestinians freed in exchange for a video of Israeli soldier Gilad Shalit, held since his June 2006 capture by Gaza militants. October 18, 2011: Israel and Hamas reach a landmark deal that results in the release of Shalit, along with 1,027 Palestinian detainees in two stages. Aug.t 13, 2013: Israel agrees to free 26 long-term Palestinian detainee, the first of 104 Palestinians to be released depending on progress in the talks. After three years of blockage peace negotiations between Israel and the Palestinians resumed in late July. Oct. 29: Israel to release 26 long-serving Palestinian prisoners. All were convicted of killing Israelis, with most of the attacks occurring before the 1993 Oslo Accords. Some 5,000 Palestinians are imprisoned in Israel.